Blendtec Blender Review - Is it worth it? Blendtec Blender Review - Is it worth it? Have you ever wondered if the “expensive blenders” were worth their cost? I know I have! I’ve wanted to make veggie smoothies and whole juices in an effort to make sure my children get more fruits and veggies in their diet. 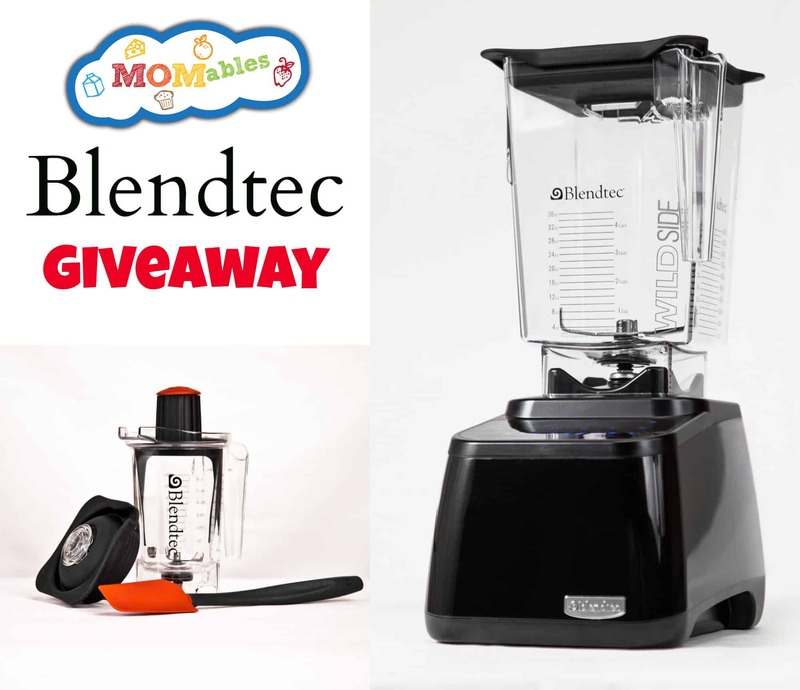 I’m thrilled to have had the opportunity to review a Blendtec Blender, and I’m excited that the awesome people at Blendtec have partnered with MOMables to offer one for me to give away! A couple of months ago, I went to Sam’s Club and saw a popular blender that advertises to have the same horsepower and blending abilities as the “expensive high-powered blenders.” I’ll admit it, I was tempted to buy it. Okay, okay, I bought it. You can check out the comments here, here, and here. Unfortunately, my excitement was short-lived. While the blender functioned well, it left tiny icicles in my smoothies (when I added ice), and the strawberry pits were a dominant part of the texture. I tried making a “green” smoothie, and the baby spinach stalk fiber was still noticeable. While the flavor of the green smoothie was great, nobody wanted to drink it. Want to add kale into your green smoothies? Impossible with that blender. You can watch this video and see why. And the super-duper blades? I cut my fingers twice while washing the blender the first few times. Needless to say, I took that system back. Luckily, Blendtec came to the rescue. Hearing my story of blender disappointment, they offered to send me one. How could I refuse? I still wanted to make awesome healthy smoothies, whole juices, and smooth nut butters. I received a Designer Series with a Wildside Jar, and to my surprise, a Twister Jar. I immediately put it on my counter and began to browse through the recipes in the book. I LOVE the blender. Honestly. I didn’t know it was possible to love a small appliance this much. It has found a permanent place on my counter next to my stand mixer. My kids love the consistently smooth texture of the smoothies, regardless of what you throw in them. Those fiber chunks are gone, and the slushy texture is nonexistent. Honestly, it delivers a silky smooth smoothie like the ones I used to pay $5 a pop for in the smoothie shop. Yesterday, I threw whole raw carrots and spinach in my smoothie, and the results were incredible. I’ve blended hot soups, tomato sauce, made pesto, green smoothies, pancake batter, Paleo waffle batter with nuts, cake batter, and smoothies of course. Cleanup is a breeze, and the blades are not sharp! I have no idea how they blend everything so smoothly when they’re not sharp, but I guess that’s why it’s patented. The Twister Jar made the smoothest almond butter—EVER. The little twister lid moves the stuff that normally is stuck on the sides and brings it back down to be made into butter by the blades. 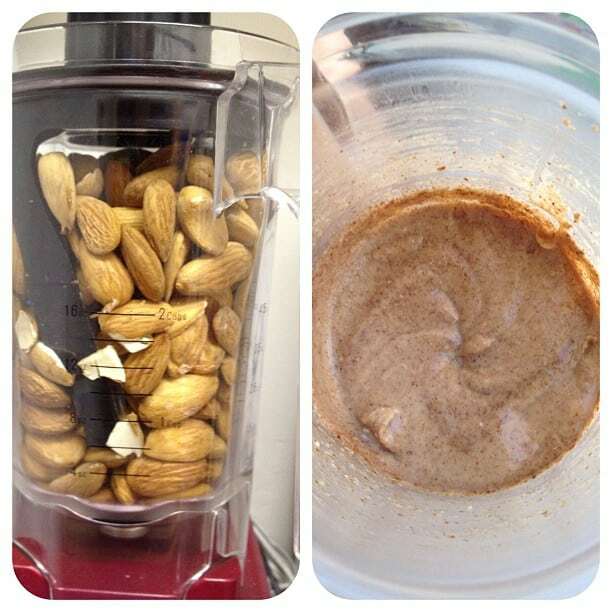 I used to make nut butters in my food processor, but the grittiness was there, and it could take between 4 and 9 minutes. With the Twister Jar, I have smooth nut butter in 1 minute! (I’m not joking. Check out this video. Go to minute 7–-skip his chat—and you will see what I mean). My 2-year-old is obsessed with his smoothies. O-b-s-e-s-s-e-d. He sits on the counter (with me holding him) and waits for his smoothie cycle to finish. I say “just a minute”—okay, actually, 40 seconds. It doesn’t need a “plunger” to push the food down. Pre-programmed cycles that blend, crush, grind fresh flour, and so much more. A blade designed to pull ingredients down from the top and that won’t cut your fingers off when you are trying to wash it. Ingredients don’t actually swirl around and wait for the blades to slice them; they are pulled down toward the blade and are crushed. Ultra-smooth texture regardless of what you throw in there. It looks great on your counter (at least it does on mine). Practically self cleans (add water and a drop of soap, turn it on, and watch it go!). The control panel is easy to clean; just wipe it down (no more cleaning between buttons). The price was my biggest issue. However, now I’ve seen they offer the same awesome warranty with a factory refurbished for $279 with free shipping. That’s a steal (my parents just bought one). Win a Blendtec Designer Blender with a Widside jar AND a Twister Jar (a $600 Value!). To win: Enter to win your own by January 19th, 11:59 pm CST. —This was a sponsored post by Blendtec. I was not compensated for this post but did receive a blender to review. I’m grateful for the opportunity to bring you the ability to win an awesome blender and as always, all opinions are my own. 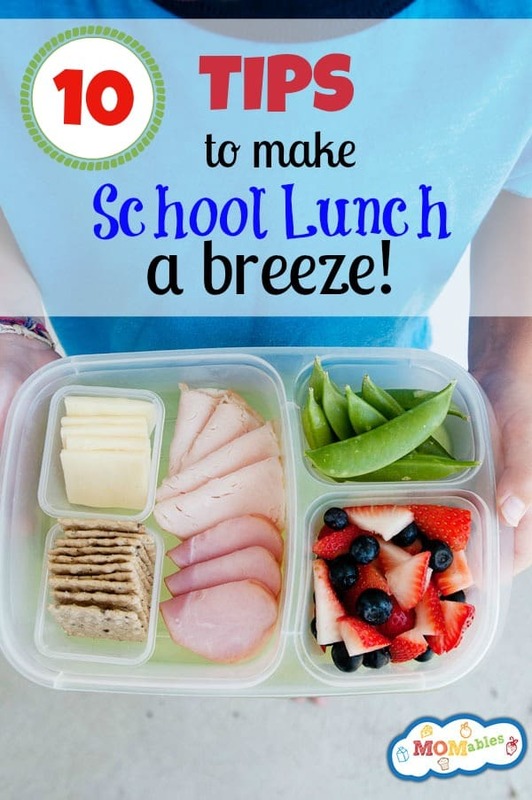 Save time in the kitchen and eat healthier with these meal prep shortcuts! Alba, the winner is on the post widget. It is automatically picked. The refurbished ones are definitely the way to go. Can this blendtec do dry, like make flours etc haven’t heard anyone mention it one way or another please answer I want to buy if it can. It can! Check out this Video. This would be so wonderful to have! I would love to be able to blend my own nut butters and make smoothies all at once for my entire family. Would love to win one! My blender is on its last leg. My friend has one and I love her smoothies, I’d love to win one. Thanks. I am currently pregnant with my third child. I would use this blender to not only make green(In Ingredients, Not In Color) smoothies for my older boys 16 and 11, but I would love to make purees for adding veggies to my meals. I also hope to make my own baby food this time around. This would be a lifesaver for me, and a great benefit for my entire family. Is there no way to enter without FB?? I surely would love to have a go at winning because we eat a lot of smoothies- somewhat gritty, cuisinart smoothies. But I can’t bring myself to open a FB account purely for that chance (or any of the other hundreds of FB-only giveaways) because in general I find it to be such a time and life-sucker. Thanks anyways. The way you make it sounds, I would love a blender like this. We love our green smoothies, but yours sound so much better. I would love to win this. I cant wait to try other recipes out there. Especially making my own nut butters! would love to make smoothies! I can only imagine the recipes that you will be adding to momables with the use of this blender. Can’t wait! I wonder how it stacks up to the vitamix? My blender just quit on me after 17 years and the one I have replaced it with overheats whenever I make something with it. Can’t wait to hear who wins? Shannon, I have a vitamix as well. this fits much better under the counter and the blades are not sharp. Plus, you don’t need the plunger thing at all. Get a refurbished one (link on the post and at bottom right). same warranty, way better pricing. My dear old (30+ years)Oster is starting to show it’s age by smelling like burnt rubber when I use it, and I love making smoothies out of frozen mangoes and spinach. Now I want to make peanut butter, but am afraid to! winning this would really open my blending world! Ohhhhhhhhhh……luuuuuust. I’m a notorious blender killer. It’s almost a gag gift from my mother every Christmas. “killed another Oster yet, Sarah?” is how I know I will be getting another one. In all fairness to Oster, the last one I killed was a Black and Decker. I’m painfully aware of the sticker shock of this and the other big name mixer. And with a houseful of littles I just can’t justify it. Yet, I still pine for, I drool over, I have even been know to covet, my neighbor’s blender . I would love to win!! It is so multifunctional!! This looks terrific! I have a special child who is supposed to drink thicker than water liquids to avoid aspiration. This blender certainly looks like it would open up a whole new world for her instead of putting gross thickener in drinks!!! I have 5 yr old twins and we live on one small income so our budget is very limited. I am trying to have our family eat healthy and make every dollar go as far as it can. This blender would be fantastic to win!!! Would love to use this to make food for my students straight from the garden at school! Thus wouldake such a difference in our smoothies. Takes me forever to blend one up with our current blender. I would love to win this! We love making healthy smoothies. I would love a Blendtec! Would love to give this a try, our Bullet bit the dust after making all sorts of could-be-smoother smoothies and some tasty frozen fruit yoghurt. Sure this would work better and last! This would be an AH-AMAZING birthday gift !!! What a useful tool! would love to win one. Thank you for offering this great giveaway! I have really been on the fence about investing in a good blender, with two picky and vastly different young boys and trying to keep them both well fed, I could really use one. I was going to start with a little one, and see if we liked it, before dropping the big bucks on something else. Thanks for the opportunity to win something so great! How do you make hazelnut chocolate spread? Thanks for sharing all of your information and tips. Would absolutely love to win a Blendtec! Oooh! I love getting your emails and love them even more now! I would LOVE to win a Blendtech! I’m curious to see if smoothie made in a Blendtech would pass (or exceed) my picky kids! Oh my goodness! How slick is that? Quick smoothies, PB and soups etc. Already daydreaming about the delicious smoothies, pesto, soup, juice, and more(!) that this Blendtec can make! My son and I have a fast metabolism (plus he’s picky) and one way to add nutrition and calories to our diet is by making smoothies. It took me a long time to get him to like smoothies (kale, spinach, carrots added to fruits) and once he did, we moved to a new place this fall and we haven’t been able to get a blender. I’ve been looking for awhile until you announced the giveaway on Instagram! I believe the Big Guy up there wanted me to wait and I’d LOVE to win this. More power to you and the work that you do, Laura! It would be great to win one of these. Wow, awesome. Would make making smoothies for my family of 6 so much faster! I would love, love, love to win this! Thanks for such amazing resource with your site! I follow you on pinterest! I am an email subscriber! Would love to enter contest and win blender!!! Is there any way to do it without Facebook? I don’t have a fb acct and don’t want one…but want to enter contest. oh my gosh I would love to win a Blendtec! What a wonderful blender. Thank you for the opportunity to win. I love smoothies! Wow! I was just looking at one of these the other day! This would be a great addition to my healthy eating goals. It would help not only me, but my entire family! I think my son would “flip” (in a good way) at the opportunity to make his own nut butter! It would be great to win this. My grandson loves helping me make smoothies and juice and this would help even more. I have seen these demoed and I would love to have one!! I want! We love juicing and blending but it’s a lot of work, your pitch makes it sound easy – that’s exciting! 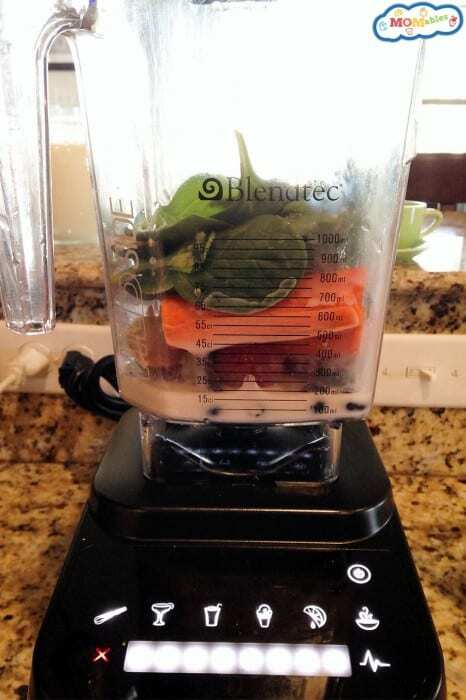 I have used many blenders and now the Ninja and haven’t been satisfied with any of them. I just can’t afford the Blendtec and would love to own one. Thank you for doing this great giveaway. I would love to make many different recipes with this!!! I’ve been wanting to try making smoothies at home, but I have a feeling that the blender we got for our wedding 18+ years ago isn’t going to cut it! I’ve been hearing more about Blendtec and I’m excited about the prospect of winning one! I would love to win this, my children love smoothies and other nourishing foods I could make with this! do you have to be on facebook to enter to win? Blendtec sounds great. Smoothies would be a great to replace our current snacks. Wow! I would love to win one of these! Thank you! We have been wanting to invest in a blender and didn’t know what to get. Thanks. I’ve heard so many good things about Blendtec–wish i didn’t have to use facebook to enter–not everybody is a facebook fan. don’t worry Eileen, your comment here counts too. Awesome! My family needs a healthy snack! Awesome! We definitely could use a delicious way to take in chits and veggies! I have been dreaming about one of thes !! Winning a Blendtech would make my year! I, clearly, NEED one of these machines. It would change my life. Okay, possibly not, but it would be extra cool to win. Dying for one of these! I would love a blendtec blender!! I could whip up so many delicious recipes. Would love to win this!! Great smoothies, soups, nut butters…sounds great to me. I’d love to win a Blendtec! I bought that “other” blender and was going to use it until I heard about the blentec for the first time from a friend earlier today. I am so excited you have this giveaway! Best of luck winning!! Return that “other” blender and use that $ to buy a refurbished one (the link to those are in the post). for a little more you get SO MUCH MORE.- and no sharp blades. I want to know how they make not sharp blades. Isn’t that an oxymoron? Or magic? Would LOVE to win this blender to make homemade baby food!! Pick me ;) would love this. I wish I can have that so can make some healthy goodies. I would love to blend up yummy smoothies with this! 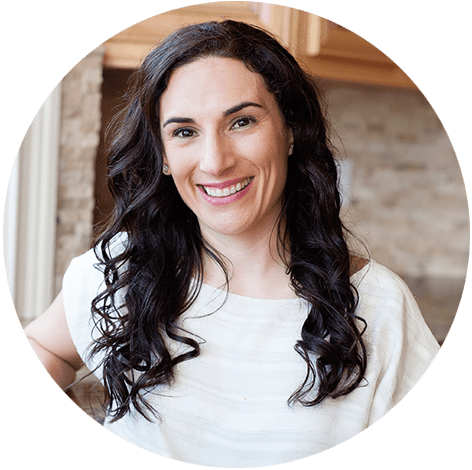 As the creator and founder of MOMables, Laura is committed to helping parents make real food happen in their households by sharing easy recipes and quick tips. She believes families deserve to eat a variety of real foods without holding parents hostage to the kitchen.